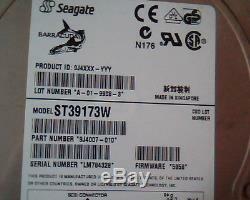 Seagate - Barracuda Model : ST39173W Part Number : 9J4007-010 Lot Number : A-01-9908-3 Firmware : 5958. Used but in excellent condition. Looks great, Sounds Great, Works Great. Canadian buyers must pay GST/HST so it is helpful if Canadians wait for an invoice before paying. Do not ask us to misrepresent the value of an item. 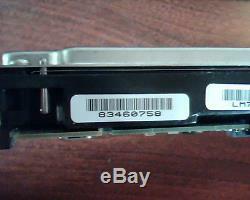 The item "Hard Drive Disk SCSI Seagate Barracuda ST39173W 9J4007-010 A-01-9908-3 5958" is in sale since Monday, August 19, 2013.